RETEAM GROUP ARE RETAIL PLANNERS. 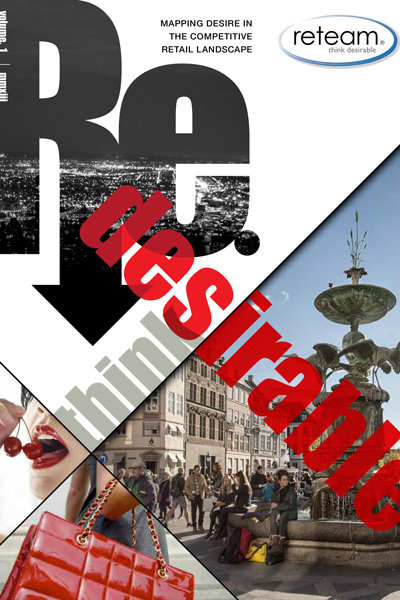 TOGETHER WITH YOU WE CREATE DESIRABLE RETAIL DESTINATIONS – ASSET ACTION & CITY ACTION! ASSET ACTION & CITY ACTION – We are creators of desirable market places in shopping centers and cities. reteam group are experts in turn around and refurbishment of retail destinations; city districts, shopping centers, retail parks etc. reteam group is world leading in research and analysis of consumer psychology and buying behavior this is why we succeed in making desirable retail destinations. reteam group is a global company with Scandinavian roots and HQ in Copenhagen. We have partner offices in Sweden, the Netherlands, Poland, South Africa and Canada.